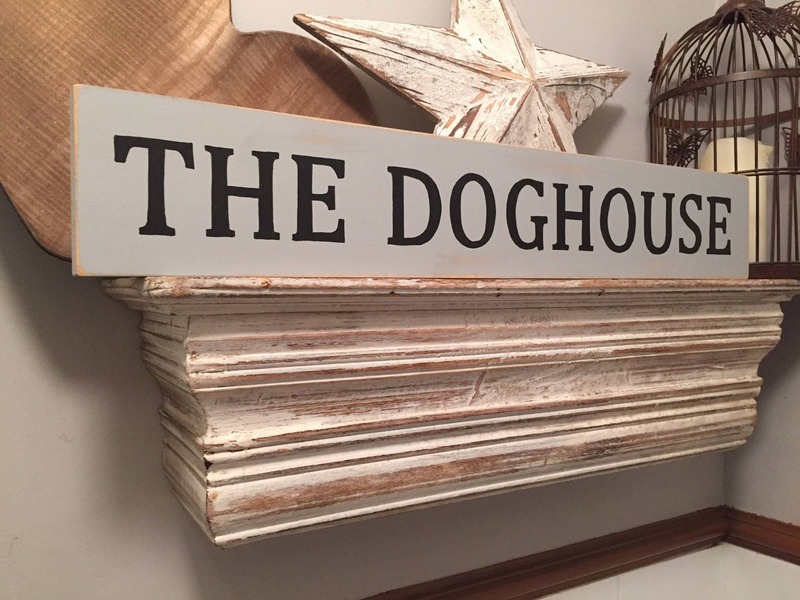 My signs are hand painted to order and usual turnaround is 14 days. 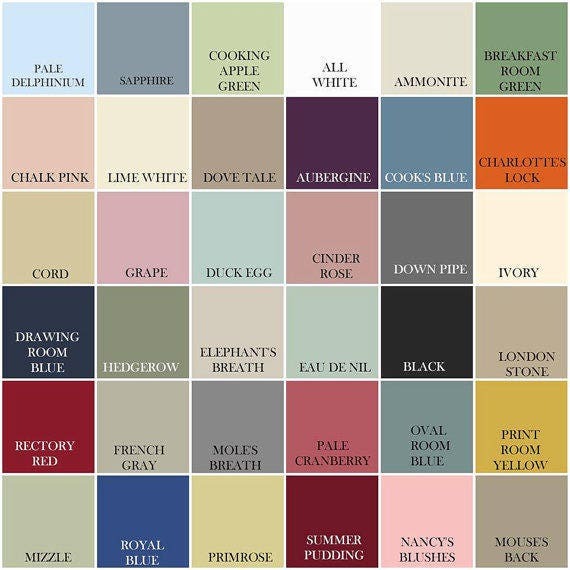 However, I will always try my best to prioritise signs needed sooner - just let me know when placing your order. 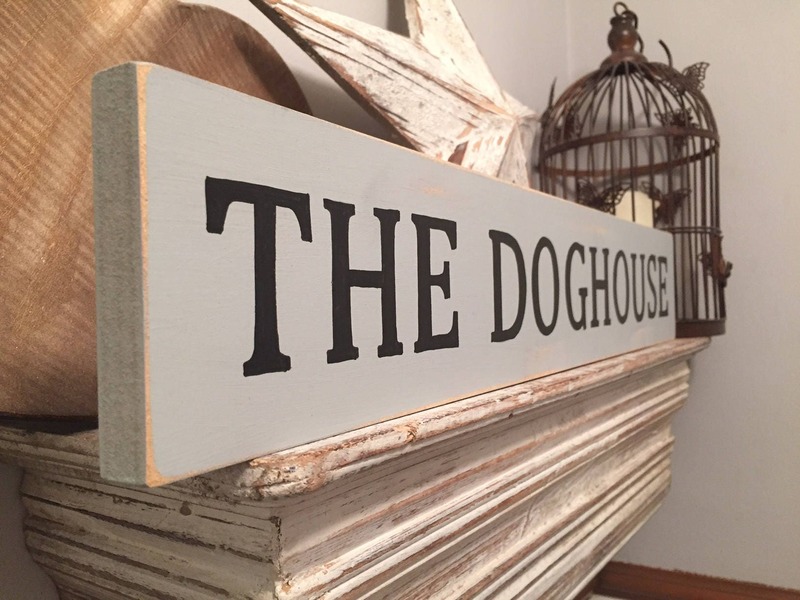 Gorgeous and unique, this 'THE DOGHOUSE' sign has been carefully distressed for a rustic, vintage style finish. Color shown is 'Castilo' (grey) with black writing. 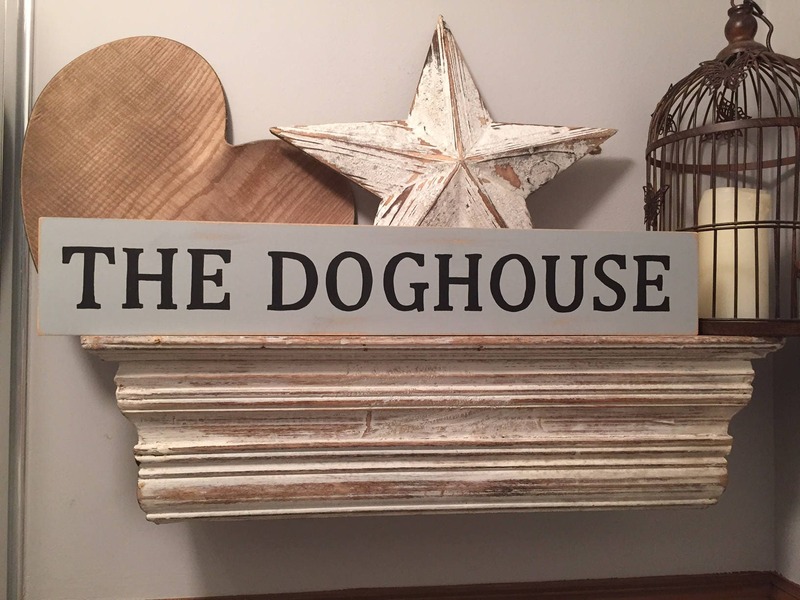 This sign will fit in with any decor, can be stood on a shelf - or hung on the wall with the attached hanger. Would make a fantastic valentines, wedding or anniversary gift or just a fabulous addition to your own home! 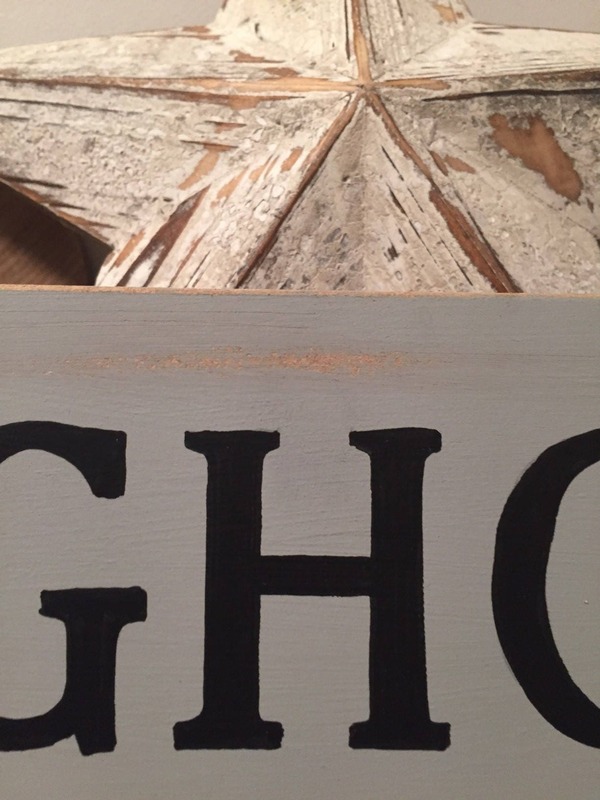 The wood is hand cut, then the several coats of paint are applied, then sanded back to achieve the distressed look. 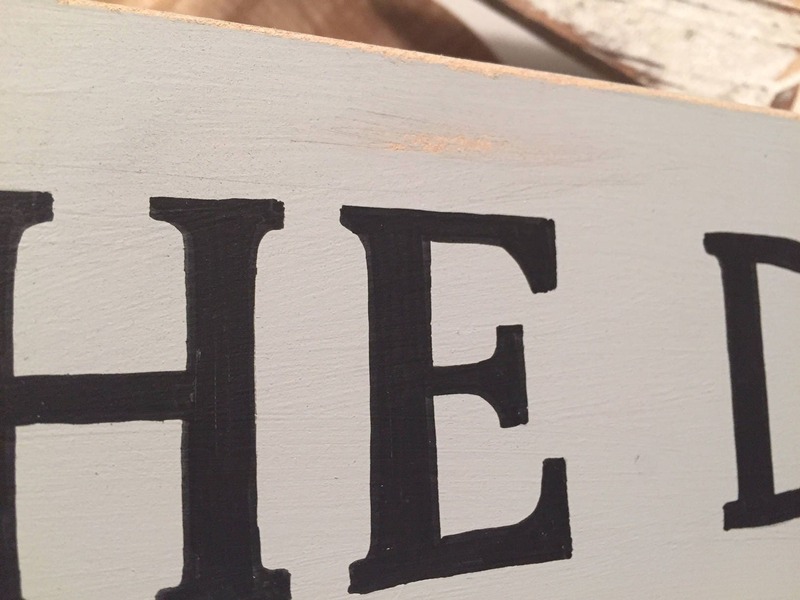 The sign is then given several coats of glaze to seal and protect, and add a low sheen finish. This particular sign measures approximately 10cm high and is approximately 60cm long. I welcome custom orders, so if there is something you would like to say just let me know and I will create a bespoke sign for you!